Produce sharp text and brilliant color images for about the same cost-per-page as black-and-white output with innovative Economy Color Mode technology. 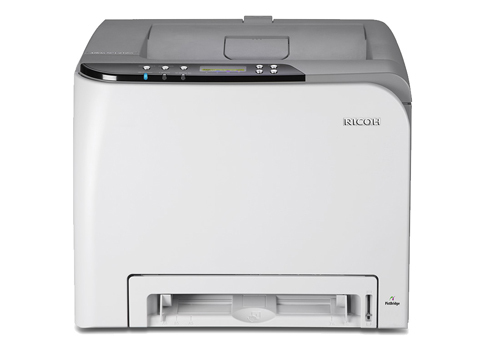 It uses less toner to deliver comparable quality and superior savings. Improve energy efficiency by using only a few watts of energy during print jobs. Typical electricity consumption (TEC) is lower than other printers in its class. Choose from standard or high-yield All-In-One (AIO) print cartridge technology to streamline consumables purchasing and inventory. Deliver up to 21 pages-per-minute in color, black-and-white or mixed output for consistent, reliable performance during every print job. Enhance productivity and minimize wait times for prints with first print speeds of less than 14 seconds for full color and black and white, and fast warm-up times of 30 seconds or less. Expedite print queues and manage multiple jobs with ease via a powerful 400 MHz controller and 256MB RAM. An optional external wireless Ethernet adaptor simplifies shared use in expanding offices. Install the optional 500-sheet Paper Feed Unit beneath the printer and increase paper supply to 751 sheets without increasing the footprint-making it ideal for home offices, cubicles, kiosks and retail counters where space is limited.